Tonight is game 5 of the 2015 World Series, New York Mets vs. Kansas City Royals. 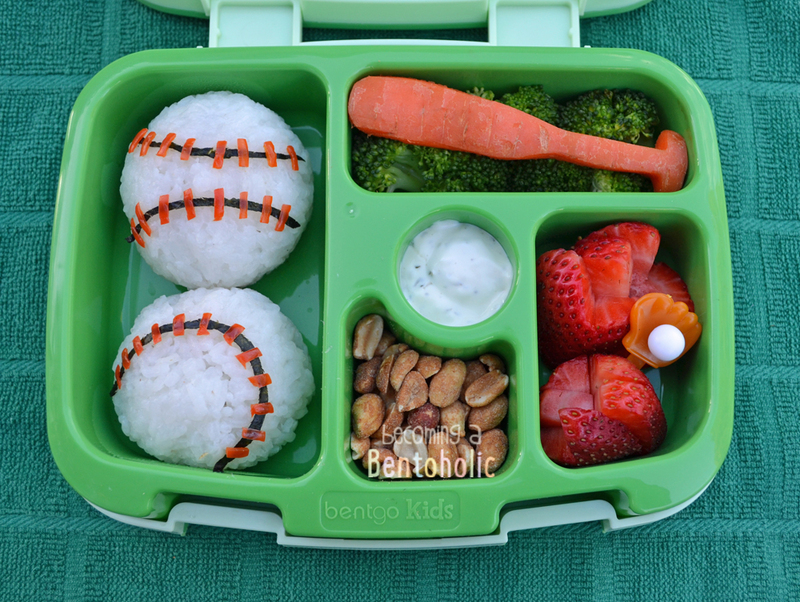 Time for a baseball bento before this whole World Series thing wraps up! In this bento: pork stuffed baseball shaped onigiri (rice ball) decorated with nori and red pepper "stitching", steamed broccoli, bat shaped carrot, ranch dressing, strawberry slices, and honey roasted peanuts.